Crush the Doritos® crisps into small pieces then pour them into a bowl. Roll the cheese slices up tightly, then roll half a chicken breast around each piece of cheese. 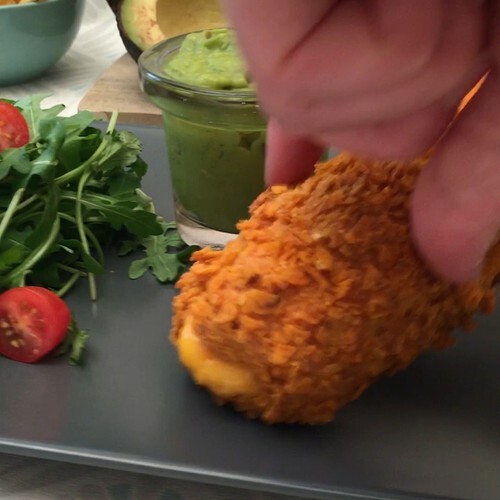 Dip the chicken in flour, then egg, then coat in the crushed Doritos®. Bake in the oven at 180°C for 25 minutes on a baking tray lined with baking paper, and serve hot with guacamole for dipping.